Thanks to Sheila for hosting It's Monday! What are you reading? 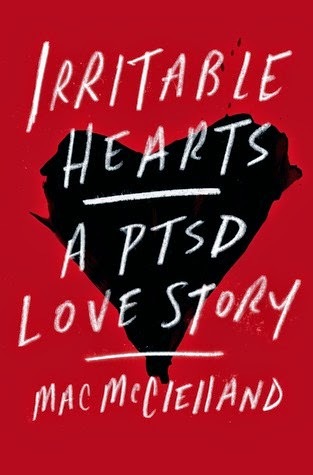 I finished my 2nd nonfiction book of 2015: Irritable Hearts. It was powerful, moving, and I highly recommend it. I'm trying to drag out the ending of All the Light We Cannot See. I'm scared to finish it for two reasons: I'm afraid that it will make me weep a million tears and I don't want my time with this book to be over. My TBR pile is ridiculous. (I'm sure that many of you can sympathize with this tragic #firstworldproblem.) 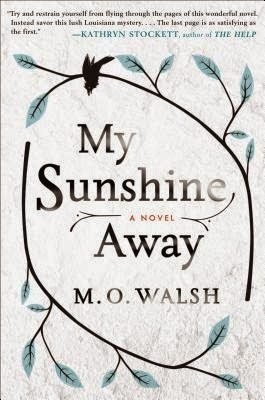 Since I'm free-range reading I never really know what I'll be picking up next but one that I have my eye on is My Sunshine Away by M.O. Walsh. My Sunshine Away is next up for me too. I've been in a bit of a slump, so am really hoping something will knock my socks off too! And - I might check out Irritable Hearts...I loved David Finkel's nonfiction about PTSD in soldiers returning from Iraq and Afghanistan (Thank You for Your Service). Songs of Sorrows: Lucy McKim Garrison and Slave Songs of the United States by Samuel Charters. I am really enjoying it. Also Neverwhere by Neil Gaimen ( paper book!). I hope you enjoy "All the Light You Cannot See." It definitely deserves the hype! Wahhhhh! So good! I tried to drag it out as long as I could. After February I have some open reading time, less semi commitments and I'm GOING to read ATLWCS!!! I can't wait to hear what you think of it, Anita! Such a lovely read. Sigh. Ha ha! Yes we do have first world problems. I am very intrigued by Irritable Hearts. Lol, don't we though? I thought it was a great read. So powerful. The description alone for All The Light We Cannot See, sounds like it would be a heart wrenching. I'm reading a book called Perdita by Hilary Scharper. Really enjoying it so far. It is. It was. Wahhh! It was incredible. I'll have to look that one up. It sounds familiar! Its by a Canadian author. I won it off GoodReads about a year ago. Just getting to it now though. I have to admit that I'm afraid to try All The Light We Cannot See. Everyone seems to love it, so my expectations for it would be very high. I have a habit of not enjoying books that receive lots and lots of (positive) attention. 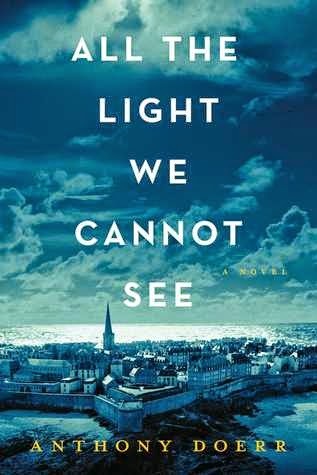 My bookclub chose All the Light We Cannot See, I am hosting discussion this Wednesday, should be interesting. Ooh, I hope you have a great discussion. There's so much to talk about, it should be a good one! You really should get to All the Light! Definitely. We really do, lol. Some of us have such fabulous taste! I know what you mean about All The Light We Cannot See. It was really good. Right?! I was extremely impressed! The library just sent me All The Light We Cannot See. I am so excited to read it! But, I know my book club is going to pick it so I may end up reading it twice. Take a LOT of notes and maybe you won't have to? But you might want to. It's that lovely. I loved All the Light we Cannot See, I'm go glad to read that you are feeling so attached to it too. It was in my top 5 reads of last year I'd say. I did cry at the ending too..! Oh goodness, it was so good. I only wish I'd read it sooner! I really need to read All the Light We Cannot See. Everyone loves it so much. Have a good week. Yes. You really do! :D I want to re-read it already! I really dug into All the Light We Cannot See earlier in the weekend. I need to get back to it, but pesky work has been up in my grill. I said it. Looking forward to spending some time with it this weekend. Stinkin' work. Real life is so lame ;) I'm glad you're liking the book and I hope you're able to get back at it soon! You have some great books going! I want to read both!